There is no VR revolution without an affordable way for people to experience presence so they can travel to other worlds. That’s what venture firm Andreessen-Horowitz was betting on when they led a $75 million round of investment in Oculus in December 2013. The bet paid off in spectacular fashion just a few months later when Mark Zuckerberg bought Oculus for $2.1 billion. Before that bet, though, Oculus had to figure out how to keep people from getting sick in VR. The startup raised $16 million in June that year to spur hiring and development of the Rift to solve that problem. And with the help of Valve, they did it. Now we are at the cusp of the launch of multiple consumer grade virtual reality headsets and investors are turning their attention to different problems, with different amounts of money being thrown into the mix. If the first step to the VR revolution was not to get people sick, the second step is about creating fun things for people to do. In our recent industry report, compiled with Greenlight VR, we surveyed the full landscape of VR/AR investment. In the past five years, not including acquisitions, there has been over $765m invested in the virtual reality field by over 166 distinct investors. It is a trend that is showing signs of continued acceleration, which means big things for the industry going forward. Investment: $542 million led by Google in October 2014, following $50 million in February 2014. What they do: The enormous bet on Magic Leap, paid for largely by Google itself, is part of an effort to leapfrog current VR headsets with a light field solution. The idea of light fields is they can perfectly replicate what the eyes see and the talent Magic Leap has been hiring to try and put together this solution rivals Oculus’. However, light fields are a cutting edge technology that likely require paradigm shifts in technology to execute. While Oculus is piggybacking on smartphones and PCs to create an affordable product, Magic Leap must engineer new kinds of chips to create a product that can perfectly insert objects into a person’s world by projecting light fields directly into your eyes. Investment: $30 million raised in June 2015, $56 million to date. 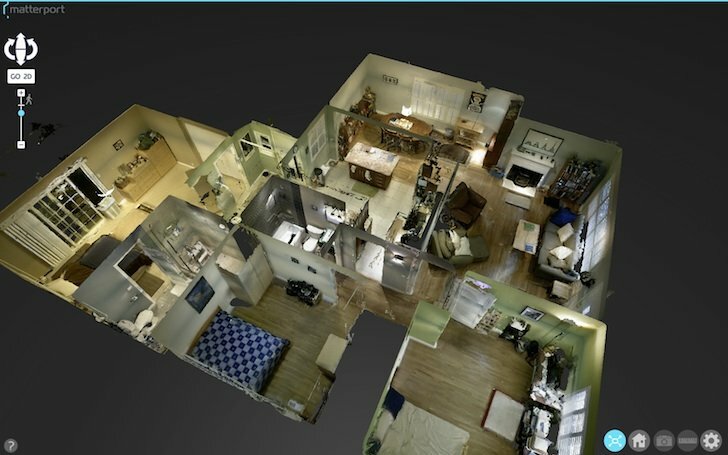 What they do: Based in Silicon Valley, Matterport sells a $4,500 3D-sensing camera and offers software across VR and desktops demonstrating its ability to capture interiors and create walkthroughs of that space. Additionally, Matterport is working on solutions for mobile devices. The market that Matterport is tapping into, real estate, is currently one of the most profitable verticals in the industry. Investment: $50m in 2011, “undisclosed figure” from Intel Capital. What they do: Razer is a gaming hardware focused company, creating things like keyboards, mice, controllers, and laptops. This year at CES, Razer officially stepped into the virtual reality space with Open Source Virtual Reality (OSVR), a project aimed at creating an open standard for virtual reality. The project has already garnered support from a number of big partners, including Ubisoft and Unity. Razer has released a modular ‘Hacker Dev Kit’ of the OSVR hardware, which is currently available for $299.99. Investment: $35m over three rounds, including a $27.5M series B in 2014. What they do: Founded in 2013, Jaunt is one of the biggest players in the live action VR content creation space. With partnerships with companies like Google on the content creation side, and an advanced proprietary camera, dubbed “Neo,” set to debut later this year. Jaunt is targeting the professional cinematic level of content creation with their projects. To this end they also recently launched Jaunt Studios, a content creation studio arm of Jaunt headed up by a number of ex-Lucasfilm executives. Investment: $20 million added in March 2015 by the same people that helped Oculus. What they do: “Improbable is developing an operating environment that makes building simulated worlds possible. Worlds which can be run in real time, simulating the behaviours and interactions of millions of entities. Spaces with their own rules and properties that a multitude of people can simultaneously change, explore and visualise in as many different ways as developers can imagine.” The company is a prime candidate for an acquisition by someone like Facebook if its approach to creating large-scale shared virtual worlds can be proven to work well. It could be a key component to the Metaverse concept companies like Oculus and Magic Leap are hoping to see realized. Investment: An investor’s release in July 2015 indicates Vive-maker HTC is buying a 15 percent stake for $10 million, bringing the total to $18.6 million over 7 rounds. What they do: WEVR (formerly WemoLab) is a Los Angeles-area developer of VR experiences including TheBlu, one of the core HTC Vive demos, and Virtual Brainload a project they completed with Adult Swim. WEVR is working to help support a content ecosystem for virtual reality with a million dollar grant fund for VR content creators to apply to pull from. Investment: $17.5 million over four rounds, $11 million raised in series B in February. What they do: High Fidelity, founded by Second Life creator Phillip Rosedale, is focused on building an “open source deployable worlds” for VR. High Fidelity’s distributed network of world’s allows it to scale by utilizing user contributed devices. High Fidelity looks to be a destination for creative applications, games, education, socialization, and exploration. The project is currently in it’s alpha state. Investment: $16 million in total, $13.5 million series A in June. What they do: Nod is creating input devices for virtual reality, with three main products in their arsenal: the Backspin, the Nod Ring, and a “casual motion capture” system. The team at Nod comes from a diverse and accomplished background, with Ph.D. and Masters recipients in the fields ranging from Math to Physics and Computer Science from institutions like Stanford, Carnegie Mellon, MIT and USC hailing from companies like Google, Apple, and NASA. Investment: $15.7 million over three rounds, $10.3 million series A in July. What they do: Silicon Valley-based Altspace is a quickly evolving shared social VR service that works with or without headsets, so you can check it out if you don’t have a Rift development kit. A robust web browser you can use inside Altspace enables people to do a number of things, including watch a YouTube video with others. Investment: $7.5 million over four rounds, with $1.1 million in Kickstarter backing. What they do: Locomotion is a problem that many people are trying to solve, and Virtuix offers a solution with the Omni – an omnidirectional treadmill for VR. The pad works in conjunction with a pair of shoes that notch into slots on the slick surface of the bowl, and as the user moves their feet that movement is translated into the virtual space. The Omni will retail for $699.99 and is available for pre-order now. Investment: $5 million raised in July 2014. What they do: NextVR is based in Orange County, Calif. and is working on proprietary wraparound video capture and live streaming technology that could put you courtside at the next big game. We recently had the chance to check out NextVR’s live broadcast of the U.S. Open, which showed off the big potential of the medium for sports. With over 20 patents on camera technology and software as well as budding partnerships with some big names in the broadcast industry, NextVR is perfectly positioned to make a massive splash in the months and years to come. Investment: $2.5M over three rounds. What they do: Merge VR is creating a smartphone based mobile HMD made out of a comfortable plush foam. Merge sets itself apart from most other mobile phone HMDs with a proprietary motion controller. The controller, which is compatible with both Android and iOS devices, works with “C9-axis fusion” and can double as an additional head tracking motion sensor with the dock on the side of the headset – making the Merge VR a lot closer to a Gear VR than it is to a Google Cardboard. Investment: $2 million raised in June 2015. What they do: Reload Studios is making VR games, including World War Toons the first first person shooter built for virtual reality. The company, founded by James Chung, is comprised of top talent from the gaming and animation industry with a number of developers from the Call of Duty series as well as animation director Nik Ranieri who previously worked at Disney on a number of their most classic films, such as Aladdin and Hercules. Investment: “Multi-million” dollar investment from Intel in April 2015 as well as a $1 million seed round in 2014. What they do: Founded in 2002, Santa Barbara-based WorldViz creates simulation solutions, like for VR training, targeted at enterprise consumers. WorldViz are also the creators of the Vizard VR Toolkit, an engine for creating VR content. WorldViz also uses a “complete VR system,” called VizMove, which allows users to develop and experience VR content in a tracked environment. What they do: VRideo is a virtual reality and 360-video web based content hosting service. VRideo’s service is hardware agnostic with browser based solution for desktop HMDs as well as a Gear VR app in the works.